Boston resident Joseph Renna is one of several semi-professional car exporters, a Haitian-American whose efforts in exporting trashed cars and ageing possessions to his poverty stricken home country have earned him praise from Haitians, along with an equal amount of disdain. Every second month, Renna fills allotted space on a cargo ship bound for Haiti, packed to the brim with ageing cars and downright broken objects. It’s a strange international movers service, and it’s one that’s gained attention both in the United States and in his native Haiti. Every year, thousands of beat up cars arrive on the Caribbean island, causing immense pollution and putting a number of drivers at risk due to limited safety features and outdated engineering. The scheme is quite profitable for those on the island. Amateur overseas removals experts move hundreds of cars each per year, offering a large profit for the island’s primarily poor residents. 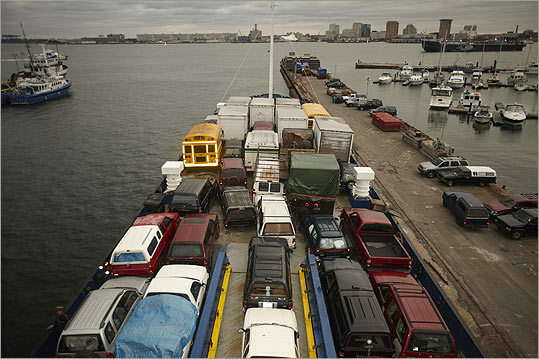 A single car can be sold at a significant mark-up, giving importers the ability to resell unregistered American vehicles due to the island’s relaxed safety regulations. The average monthly wage in Haiti sits below £50, giving many of those with adequate connections the ability to forge a healthy living from these amateur importing schemes. Renna claims to have ten employees in Haiti, arguing that his actions, while environmentally irresponsible, are helping the Haitian population in ways that traditional businesses can’t.